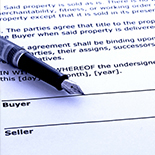 There was a time, not so long ago, that all construction loan projects were completed solely on paper. From the initial draft to the final report, and all the project accounting in between, each step was recorded with pencil in record books. That is obviously not how things are done today. With the invention of the first computers about 60 years-ago, many processes changed. At Granite Companies, we know how important technology is in any business currently operating. In fact, it’s important to stay on top of continual technological improvements that provide benefits to our clients. That’s why we love our online portal and having it accessible for every client we work with. 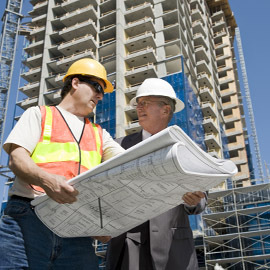 Our unique online portal allows both construction loan lenders and contractors to follow the project through the entire process 24 hours a day, seven days a week. By simply logging in, you will have access to the project at-a-glance, all draw inspection reports, inspection photos, and a variety of accounting figures. This can help put the lender’s mind at ease throughout the entire construction process and helps the contractor follow appropriate risk mitigation processes while still having easy access to necessary funds. Additionally, our inspection network is connected and set up to help reduce lag time before and after an inspection. Our inspectors are able to access their orders and provide reports from any device. The system also allows for real-time tracking of orders and results. 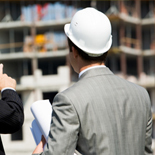 Choose Granite Companies for your risk mitigation partner on your construction loan or build. We help our clients succeed.